The Best Dog Training blogs from thousands of top Dog blogs in our index using search and social metrics. Data will be refreshed once a week. Also check out Top Dog Training Youtube Channels list for Top videos on Dog Training. 2.24 The Cognitive Canine | Innovative Reward-Based Dog Training. Dog Training newsletter is a comprehensive summary of the day's most important blog posts and news articles from the best Dog Training websites on the web, and delivered to your email inbox each morning. To subscribe, simply provide us with your email address. About Blog Find tons of great free content on everything ranging from great training advice, dog health issues, and stuff guaranteed to make you laugh. Facebook fans 163,172. Twitter followers 176. Atlanta, GA About Blog Zak George is a celebrity dog trainer and YouTube star who has trained thousands of dogs throughout his career. His YouTube channel, Zak George's Dog Training Revolution, is the number one destination for dog training content in the world, with more than ten million views annually. His first book, Zak George's Dog Training Revolution, was published by Penguin Random House in 2016. Facebook fans 186,528. Twitter followers 12,528. Solana Beach, CA About Blog That Mutt is a site for dog lovers who live in the real world. hatMutt.com is a dog blog about dog training, dog exercise, dog adoption and more. Facebook fans 6,779. Twitter followers 3,231. About Blog Scientifically accurate advanced dog training for pet and working dogs. Help for all behavior problems. Aggression rehabilitation, confidence building, and solutions for the most difficult dogs. Support for professional dog trainers and novice pet owners. We will keep you informed of the most up to date and effective dog training methods available. Facebook fans 15,683. Twitter followers n/a. Hamilton, Ontario, Canada About Blog On this channel you will learn some tricks to teach your dog and we will help you understand why they do some of the things that they do. In just a few weeks, your dog becomes a good family member. Some simple tweaks you can make to your training habits that will make you more successful, and much more efficient. And have that well behaved, four legged, furry family member. Facebook fans 7,943. Twitter followers 1,883. San Diego, CA About Blog Complete 'how to' free videos on dog training, clicker training and behavior modification by world renowned dog trainer Emily Larlham. Emily uses only Progressive Reinforcement Training. A type of training that involves no forms of physical or psychological intimidation. Facebook fans 71,855. Twitter followers 1,512. Auckland, New Zealand About Blog Doggy Dan is a world-famous dog trainer, commonly known as 'The Online Dog Trainer for providing his calm and gentle method to dog owners. Facebook fans 77,355. Twitter followers 185. About Blog Learn all you need to know about dog training, how to potty train puppies, and more! Facebook fans 152. Twitter followers 1,333. Australia About Blog The world's largest dog training company. Bark Busters home dog obedience training therapists put owners back in control using non-physical, quick and easy methods that their pooches and puppies need. Facebook fans 1,653. Twitter followers 202. Bedofrdshire, England About Blog Follow for Labrador obedience training, house training, crate training, health and everything you need to know to live with and care for Labradors and lab puppies. Facebook fans 51,589. Twitter followers 1,571. About Blog Welcome to Dogvills, a dog blog where we share dog recipes, dog treat recipes, dog training tips, dog toys suggestions, dog health tips and the latest news about dogs. Facebook fans 3,582. Twitter followers 11,981. Irvine, CA About Blog Welcome to PuppyInTraining.com! A blog about our experiences raising and training guide dog puppies in training. Our mission is to help people with their puppy training questions by sharing our experiences raising guide dog puppies in training. We also support pet adoption, shelters, and rescues and hope to raise awareness to save more dogs, cats, and other pets from euthanasia. Facebook fans 89,518. Twitter followers 4,661. Menomonie, WI About Blog The best source for dog training news, tricks and treats, right from world class leaders in dog training. Facebook fans 48,103. Twitter followers 3,338. United States About Blog Animal Behavior College is an animal career training school that offers dog training, veterinary assistant, dog grooming and cat training certifications. Read blog for tips on dog training, pet health, grooming and cat training. Facebook fans 77,208. Twitter followers 4,853. About Blog The DogingtonPost is the world's largest site for dog information. Whether you want to know about dog health, training, or that special relationship between you and your fur baby, this page has it all. Facebook fans n/a. Twitter followers 5,092. About Blog Steve Courtney is the founder of K9 Pro, he is a Nationally Accredited Dog Trainer, Behaviourist and Law Enforcement Dog Trainer. Steve has been working, training and breeding dogs for most of his life. This Blog is more about you than it is us, you see we really want to help you make the relationship you have with your dog, just that little bit better! Facebook fans 16,419. Twitter followers 31. Metro Balto/DC About Blog I am Laurie Luck, pooch pleaser and people teacher. I’m here to help you and your puppy live a beautiful life together. I know that getting to that divine place requires a partnership, so the focus of my training practice is both you and your dog. I teach you both individually and together how to live and love each other and create a relationship that is rooted in mutual respect and trust. Facebook fans 3,110. Twitter followers 11,587. United States of America About Blog Dog Training Nation is a community of people who love dogs, own dogs and train dogs. Follow us for dog training tips! Facebook fans 9,150. Twitter followers 681. Houston, TX About Blog My name is Jim Burwell, and I’m a Houston dog trainer. The first thing you need to know about me is that I am passionate about keeping dogs in their forever homes. If you know nothing else, this tells you who I am. Since you’re here, I’m happy to share with you how I became a dog trainer who is in love with what I do. Facebook fans 3,855. Twitter followers 4,029. California & Bay Area About Blog My name is Chad Culp, and I own and operate Thriving Canine, a full service dog training outfit. I'll work with you and your dog to improve your dog's behavior, sharpen his obedience and exercise him mentally and physically, all of which will strengthen your relationship with your dog. Facebook fans 34,447. Twitter followers 856. USA About Blog The Modern Dog Trainer helps dog trainers learn about and use modern business practices to grow their dog training businesses, reach more dog owners, and help more dogs by providing business development and marketing tips. Facebook fans 3,035. Twitter followers 1,248. About Blog A professional dog trainer specializing in relationship-building in competitive dog sport teams. Facebook fans n/a. Twitter followers 303. Austin, TX About Blog Unleashed Unlimited is a full-service dog training company. Unleashed Unlimited offers a variety of Austin dog training classes. We proudly serve Cedar Park, Round Rock, Leander, Georgetown and other Central Texas areas as well. Facebook fans 3,024. Twitter followers 980. 24. The Cognitive Canine | Innovative Reward-Based Dog Training. About Blog Sarah Stremming is a dog trainer, a dog agility and obedience competitor, and a dog behavior consultant. Her credentials include a bachelors of science degree in psychology from Colorado State University, and more than a decade in the field of dog training and behavior. Facebook fans 3,601. Twitter followers n/a. Western New York About Blog Wayne Booth created this blog site to give you information on dog training, behavior and health. This blog was started for his dog training clients and has grown to a blog for dog owners and trainers all over the world. Facebook fans 1,125. Twitter followers 56. About Blog I’m a veterinarian and professional dog trainer, with a focus on treating behavior problems including aggression, separation anxiety, and compulsive behavior issues. I’ve created this blog to share my passion for all things training-related, provide easily accessible training and behavior information to dog owners, and celebrate my experiences in the strange, wonderful world of dogs. Facebook fans 2,087. Twitter followers n/a. Bloomfield, NJ About Blog Dog behavior and training tips, advice and guidance. I see way too many people not able to appreciate their dogs because they are distracted by behavioral issues. My mission is to make sure you get past those obstacles so you can totally enjoy every minute you have with your furry best friend. Facebook fans 31,846. Twitter followers 341. Servicing Australia Wide About Blog Sit Drop Stay was created in 2005 by Director and Head Trainer, George Lygidakis. George established the business in response to an urgent need to improve the quality of dog training and to broaden the knowledge about of dog behaviour that is available to the Australian public. Facebook fans 4,292. Twitter followers 44. Carmel, NY About Blog Three Dogs Training is a nationally certified dog trainer specializing in ethical, dog-friendly positive reinforcement methods in the Hudson Valley of New York. Facebook fans 2,915. Twitter followers 77. Warwickshire, Northamptonshire About Blog Graeme Hall 'The Dogfather' is recognised as one of Britain's top dog trainers. The Dogfather will give you the knowledge and skills that you need to be the owner of a happy, well behaved dog. The Dogfather trains dog owners as well as dogs. Facebook fans 2,073. Twitter followers 2,809. About Blog Judy Leonardis is the owner and operator of Dog Training Now. When I train dogs, I use a balanced approach with lots of praise and motivation. Get a lifetime of love & respect from your dog with training . Facebook fans 2,034. Twitter followers 28. About Blog Take the Lead K9 Training, created by Victoria Smith, focuses on creating balanced relationships with humans and dogs through leadership, obedience, behavior modification, and socialization. Behavior problems develop from a lack of structure and leadership in the relationship between humans and their dogs. Facebook fans 8,378. Twitter followers n/a. About Blog My name is Elayne, I specialise in dog training and dog behaviour modification (unwanted behaviour). Facebook fans 476. Twitter followers 4. Santa Barbara, California About Blog The Inquisitive Canine offers private dog training and obedience classes with professional dog trainer Joan Mayer in Santa Barbara, Ca. Read the Inquisitive Canine blog for free dog training advice and tips and to learn about different dog behavior traits and positive training techniques. Facebook fans 1,734. Twitter followers 1,517. Facebook fans n/a. Twitter followers 343. About Blog Adams K-9 in Hudsonville, Mich offers dog boarding, doggie daycare and obedience training. Specialists in aggressive dogs and off-leash training. Facebook fans 1,740. Twitter followers 30. Shawnee Kansas About Blog Mike Deathe is an avid pet lover who found his passion as a dog trainer in 2008. Since then he has trained thousands of pet parents to better communicate with their dogs. He authors the KISS Dog Blog and writes for several local, regional and national magazines. Facebook fans 2,060. Twitter followers 785. About Blog Discovery Dog Training is a privately owned and operated dog training business in Boone, NC. We offer private, in-home lessons which can be tailored to your dog’s specific needs. About Blog At The Grateful Dog we partner with our customers to tailor a program that meets the exercise, training and enrichment needs for the development of each dog's potential. We are passionate about animals and are inspired by learning. Training, handling and care are based on the latest principles of applied animal behavior (how animals learn). Facebook fans 706. Twitter followers n/a. About Blog Manners for Mutts offer a wide variety of training plans from puppies to adult dogs, behavior modification and group classes. We even have specialized training designed for families with kids and dogs! Facebook fans 489. Twitter followers n/a. About Blog Say Yes Dog Training's goal is to help dog owners world wide learn how much fun and effective training through games can be. Susan Garrett, owner of Say Yes Dog Training, runs a number of successful online training courses, such as the Five Minute Formula to a Brilliant Recall, Puppy Peaks, and Say Yes to Contact Success. She also freely shares educational videos, webinars and articles. Facebook fans 115,909. Twitter followers 5,776. USA About Blog We at Barking Bootcamp teach Simple Ways to Improve Your Dog's Overall Health. We provide tips that help Dog Owners train their pet to be obedient, potty trained and overall a well behaved pooch. Facebook fans 4,294. Twitter followers 331. Singapore About Blog A Positive Dog Training School in Singapore. Specializes in Puppy, Dog Obedience, Dog Agility and Behavioural Modification Classes. Our goal is to enhance and build a better quality life for you and your dog through the various dog sport activities available, be it as Puppy Dog Training, Basic Obedience Training or Competition Dog Training. Facebook fans 3,477. Twitter followers 23. Canada About Blog Sit Stay Learn trains without fear, force, pain or intimidation. Janis Mikelberg certified professional dog trainer in York Region, Ontario, Specializing in dog training and puppy training using humane positive reinforcement techniques. Facebook fans 1,129. Twitter followers 238. Naples, Florida About Blog Ruffgers Dog University is Southwest Florida's premium indoor dog training and boarding facility with extensive experience and knowledge in canine behavior and training. Facebook fans 1,347. Twitter followers 76. Facebook fans 747. Twitter followers 40. Palm Beach Gardens, FL About Blog Certified Professional Dog Trainer in Palm Beach Counry. Aggression, Obedience, Group Classes, Canine Good Citizen, Therapy Dog Training, Board & Train, & more! Facebook fans 519. Twitter followers 60. About Blog Halifax (HRM) Balanced dog trainer Kristen Cameron. Specializing in behaviour modification to help dogs return to a balanced and normal state of mind. Arkansas, USA About Blog Dog Training service that focuses on creating a better line of communication between owners and their dog. Facebook fans 336. Twitter followers 8. Illinois, USA About Blog The Canine Perspective offers dog training services in the NWSuburbs of Chicago, IL, specializing in solving behavior problems using force free positive methods. Facebook fans 161. Twitter followers 71. Ancaster, Ontario, Canada About Blog Multi time National & World Agility Champion Susan Garrett has a goal of helping dog owners world wide to learn how much fun and effective training through games can be. She freely shares educational videos, webinars and articles through her blog. Susan teaches on-line puppy and dog training classes to students all over the world from her home in Alberton Ontario Canada. About Blog Wag's mission is to make it much easier to own a dog by providing your dog the care it deserves while giving you the flexibility you deserve. Facebook fans 115,593. Twitter followers 6,746. Facebook fans 235. Twitter followers 921. Metro Denver Colorado About Blog Noble Beast, the Denver dog training experts. Fun, easy to use, positive dog and puppy training techniques, interactive learning, and leadership activities. Facebook fans 1,450. Twitter followers 1,397. United States About Blog CATCH Canine Trainers Academy offers the complete training and certification you need to become a Professional Dog Trainer. CATCH Dog Training Academy's Blog dedicated to all things related to our furry four-legged friends. Dog food recipes, dog training tips and much more! Facebook fans 21,287. Twitter followers 589. Canada About Blog Talent Hounds is a Community for Dog Lovers bringing out the best in talented dogs with dog photos, videos, stories & tips. We love rescues, responsible parenting & positive training. Facebook fans 44,308. Twitter followers 16,107. About Blog Kennel Trainer is a free information source for dog owners. All of our articles are written by canine professionals and aimed at making you the best dog owner you can be. Browse our online collection of Dog Training, Dog Grooming, and Dog Health articles. Facebook fans 12. Twitter followers 44. About Blog Allegiant K9s provides dog training in Charlotte, NC. Specializing in obedience, off leash training and behavior modification for aggressive and fearful dogs. Facebook fans 340. Twitter followers n/a. About Blog The K9 Coach Carolinas Dog Training specializes in dog obedience training, rehabilitation in the Carolinas and beyond. We specialize in aggression, anxiety, fear and rescue dogs. Puppies and happy go lucky dogs will get off to the best possible start. Facebook fans 3,804. Twitter followers n/a. Marlton, NJ About Blog As experts in dog behavior modification and problem solving, K9 Basics has the experience and talent to help you and your dog at any level. Dog behavior modification is largely based on the experience and education of the trainer. Facebook fans 3,020. Twitter followers 224. Downers Grove, IL About Blog Smart Dogs Training and Lodging is proud to be 100% family owned & operated. Our focus is on training your dog and giving you the tools to carry on the success. Read about the latest dog training and lodging news and tips on the Smart Dogs Training and Lodging blog page. Facebook fans 3,568. Twitter followers 2,323. Kingston, Ontario About Blog Wade's Dogmanship is a private training service for dog owners of Kingston Ontario and surrounding areas struggling with behaviour issues and disobedience. Facebook fans 1,038. Twitter followers 35. Western Mass. & North Quabbin About Blog At Your Service Dog Training, LLC, is owned and operated by Sharon Wachsler, CPDT-KA, KPA-CTP. Sharon uses effective, positive methods to train both service animals and family pets. Facebook fans 234. Twitter followers 89. About Blog Dog Training with Bravo Fido's positive approach creates happy, healthy, good dogs. Read our blog for dog training tips and stories. Facebook fans 719. Twitter followers n/a. About Blog Sarah trains dogs using reward-based methods. She graduated from and is now on the faculty of The Academy for Dog Trainers, a 2 year program, where she coaches and mentors students in the program. Facebook fans 5,476. Twitter followers 43. Australia About Blog Jordan Dog Training help fix dog behaviour problems such as barking, pulling on the lead, jumping up, aggression and other canine behavioural issues. Facebook fans 10,052. Twitter followers 72. About Blog Blog posts written by Ally Lantis include topics such as adopting a new rescue dog, dog training class policies, private dog training policies, and behavior issues like potty training, crate training, puppy biting, reactive dog training, and aggressive dog training. St. Louis, MO About Blog Jimmy is a professional and compassionate canine behavior specialist that works with all dogs any size, breed, age, temperament, etc. As part of his training, he also makes sure that owners becomes consistent and established leaders for their dogs, directing their furry best friends to rewards, obedience, and happiness. Facebook fans 380. Twitter followers 34. San Francisco, CA About Blog Hi everybody! I train and rehabilitate dogs. I deal with everything from standard obedience problems to serious aggression. I will be Helping people to be successful with their dogs, their business, and their life. Facebook fans 30,867. Twitter followers n/a. Facebook fans 1,768. Twitter followers 570. About Blog Breakthrough K9 Training is a board and train business that addresses issues that include but are not limited to, basic obedience, leash reactivity issues, aggression, resource guarding to name a few. We use the latest and most effective methods of dog training in an environment that is safe for your dog. Facebook fans 1,438. Twitter followers n/a. About Blog Lisa is a professional dog trainer and the owner of Good Dog! Training, LLC. Her passion is helping dogs and owners achieve a deep, loving bond through the use of positive, force free training and clicker/marker training. Facebook fans 475. Twitter followers 46. About Blog YouTube tutorials for Dog Training, Dog Tricks, Dog Behaviour and other 'dog' ideas, with over 36,000 subscribers and offering over 125 FREE video's, Modern Canine Training was listed as the Top Ten Dog Training YouTube Channels HERE. Facebook fans 6,143. Twitter followers 41. Washington, DC About Blog Monument Dog Training provides In-home professional dog training and comprehensive behavioral problem programs to dogs and their owners throughout the DMV. Our methodologies are based on our assessment of you and your dog and the best way to help create the change and happy relationship you want with your dog. Facebook fans 372. Twitter followers 12. About Blog Banks K9 Solutions offers in home training and group classes for families who want a well behaved pet dog. Facebook fans 429. Twitter followers n/a. About Blog CommuniCanine offers fun, effective dog training classes and lessons on the Saanich Peninsula, all led by veteran dog trainer, Darcie Jennings. Facebook fans 1,367. Twitter followers 22. MontCo, DelCo, ChesCo About Blog AADT provides private, in-home, one-on-one training sessions for dogs of all shapes and sizes. Read blog for free training advice and dog companionship information. We also have occassional free training videos. Facebook fans 1,104. Twitter followers 1,043. About Blog At Life Skills Dog Training we offer puppy and dog training classes 1-2-1 training and behavioural consultations. We also run a puppy playgroup, trick training and basic agility. About Blog We work with families who need help with their dogs listening reliably the first time you tell them at home, at the park, and anywhere you want to take them. About Blog K9 Stars is the home of Professional dog trainer and behaviour consultant, Nick Honor. Providing professional training and behaviour services in and around Buckinghamshire, Oxfordshire and the Home Counties. Boulder, CO About Blog Renowned Dog Trainer, Tom Morais is the Colorados most trusted dog aggression, dog behavior and dog Obedience trainer. Facebook fans 2,902. Twitter followers 24. St. Louis, MO About Blog Stay in the know with the dog training latest tips, reviews on innovative dog products and St Louis dog community happenings with The Persuaded Pooch blog. Facebook fans 477. Twitter followers 316. About Blog Local, science-based in-home training and group classes. Training everything from aggression rehabilitation to therapy dogs. Facebook fans 2,281. Twitter followers n/a. SW London About Blog Winkie Spiers, Dog Trainer, Behaviour Consultant, Author of 'How To Handle Living With Your Dog, International speaker and Canine Bowen Therapist. She uses scientifically based and up to date training methods and see and end to the cruel, ignorant, punishing and unkind handling and training. Facebook fans 895. Twitter followers 69. Brooklyn,NY About Blog Michael Jackson is an expert dog trainer who’s been mastering his craft for over 10 years. His motto is simple. "TRAIN THEM DON'T BLAME THEM". Facebook fans 601. Twitter followers 64. About Blog S. Miley Dog Training and Rehabilitation offers full-service dog and puppy training designed to give you the enjoyable family pet you have always dreamed of having. I will help you resolve behavioral issues and integrate your dog fully into your family life through dog obedience training. Dublin City, Ireland About Blog North Dublin Dog Training was founded by dog trainer Regina Skelly. It aims to make positive reinforcement training available to those seeking to train their dogs and to equip dog owners with information to help them understand their dog's behaviour and change unwanted behaviours. Facebook fans 549. Twitter followers 77. About Blog Action Works Dog Training provides Force Free Dog Training. Positive Reinforcement. Science Based Humane Methods. Facebook fans 232. Twitter followers 40. San Francisco and Marin About Blog Dogovation Dog Training in Marin provides highly effective methods to build a healthy bond between you and your dog resulting in a calm dog you can take everywhere. Facebook fans 145. Twitter followers 38. About Blog Alliance Dog Training offers people and dogs a way to think together. Using positive reinforcement training, the sky is the limit! Our methods are humane and based in the scientifically proven methods of positive reinforcement. There is no “balance training” or aversive training. London, England About Blog Offering dog training lessons, management and solutions for problem behaviours. Apartment dogs, reactive dogs, puppies! Facebook fans 116. Twitter followers 39. Facebook fans 75. Twitter followers 14. West Marin California About Blog Optimist Dog Training provides personal, practical professional puppy and dog training, group classes and behavior consultations in Marin County, California. About Blog Training should always, and needs to be, fun. After all, I wouldn't go to work if it was scary. Why do we think dogs are so different? The relationships we form with dogs are built on trust. A dog who is afraid of you, or what you might do, will not trust you. A dog who is afraid of a consequence, does not perform confidently. About Blog We offer a safe and professional complete dog training experience with continued support to help you and your dog in your journey. About Blog Dawn is a professional dog trainer and has been training dogs and coaching dog owners for over 15 years. She regularly seeks continuing education opportunities to stay current on the latest positive reinforcement training methods and scientific studies. About Blog Our Play and Train dog training service is designed to help you forge a great connection with your dog so you can enjoy stress free walks with a dog that wants to be with you. About - Follow for Labrador obedience training, house training, crate training, health and everything you need to know to live with and care for Labradors and lab puppies. About - Oli is a Dog Trainer & Behaviourist covering most of London offering 1-to-1 Training sessions in your home or office using only positive reinforcement methods. Oli is a Clever Dog Company Method, Licensed Trainer. View Oli's Latest Blog on a Dog theme, from Training tips and latest Dog Wear to places to eat with your Dog. About - I am Sarah. For the past 10 years, I have been dog training full-time in the picturesque village of East Meon, Hampshire, and currently have 12 dogs of my own. About - Graeme Hall 'The Dogfather' is recognised as one of Britain's top dog trainers. The Dogfather will give you the knowledge and skills that you need to be the owner of a happy, well behaved dog. The Dogfather trains dog owners as well as dogs. About - Welcome to Watch my Chops, positive dog training by excellence. We provide useful discussions and experiences on Dog Training ranging from puppy training to how to have a well behaved dog when out and about and how to have fun with your dog and lots more. 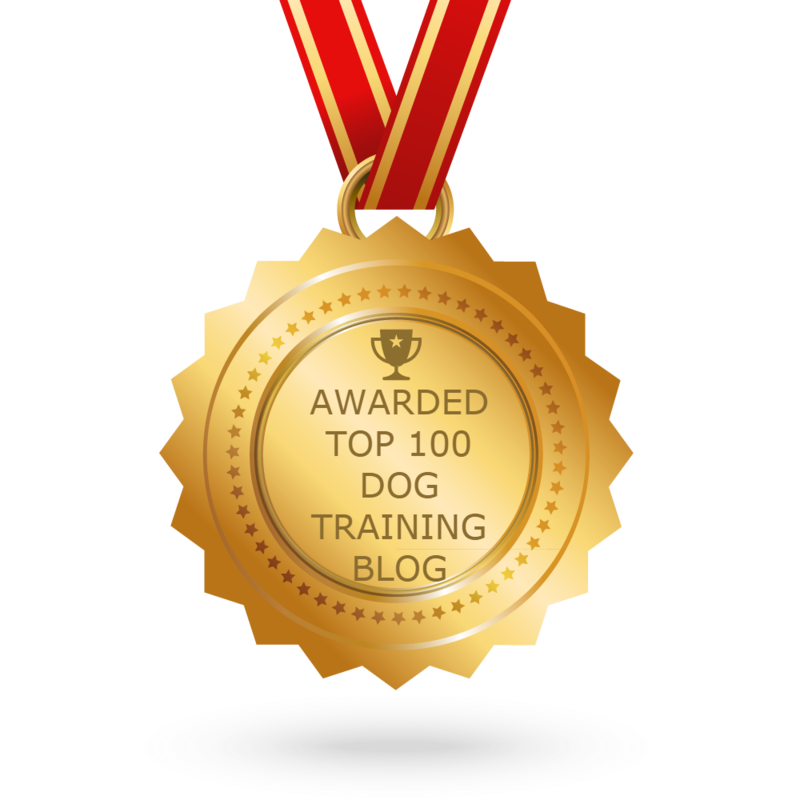 CONGRATULATIONS to every blogger that has made this Top Dog Training Blogs list! This is the most comprehensive list of best Dog Training blogs on the internet and I’m honoured to have you as part of this! I personally give you a high-five and want to thank you for your contribution to this world.